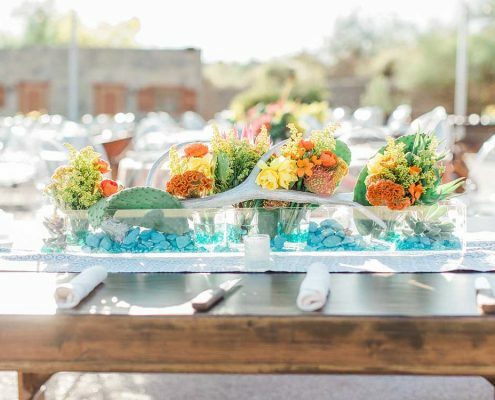 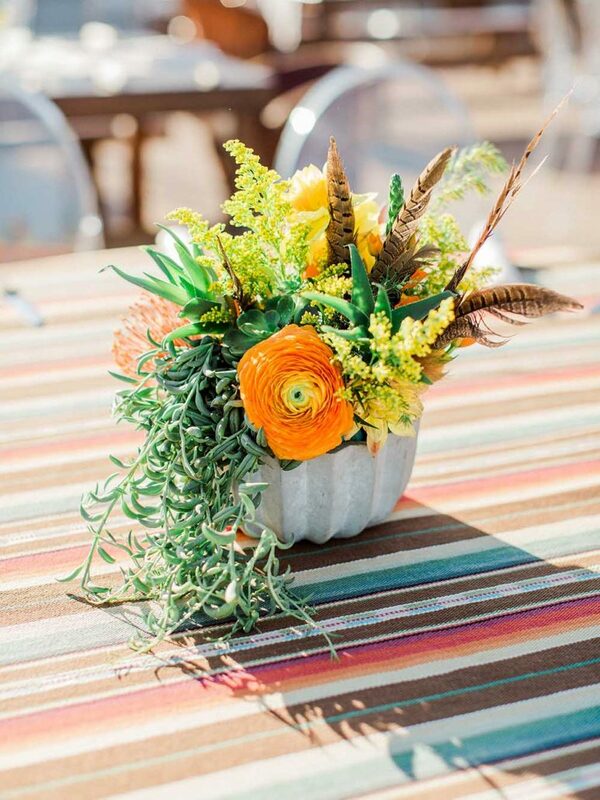 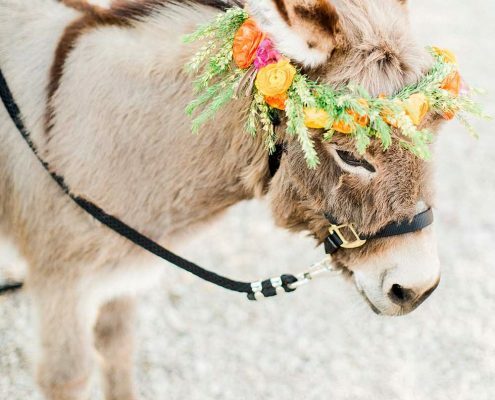 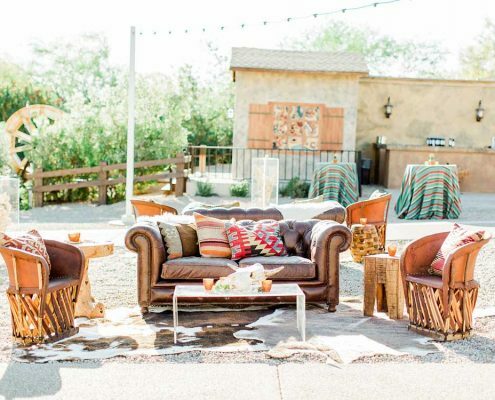 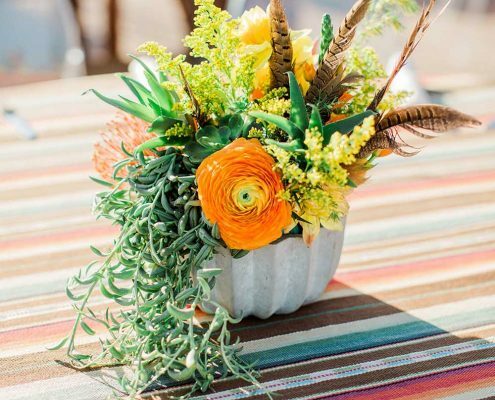 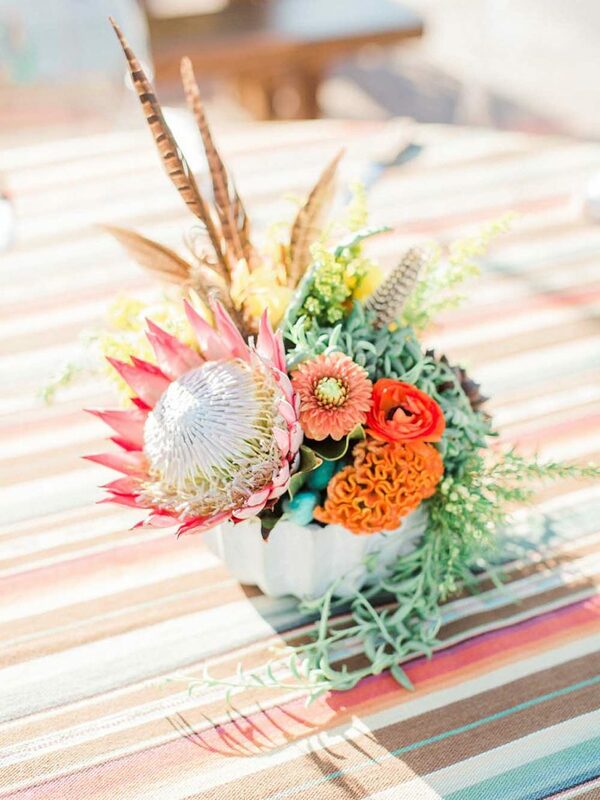 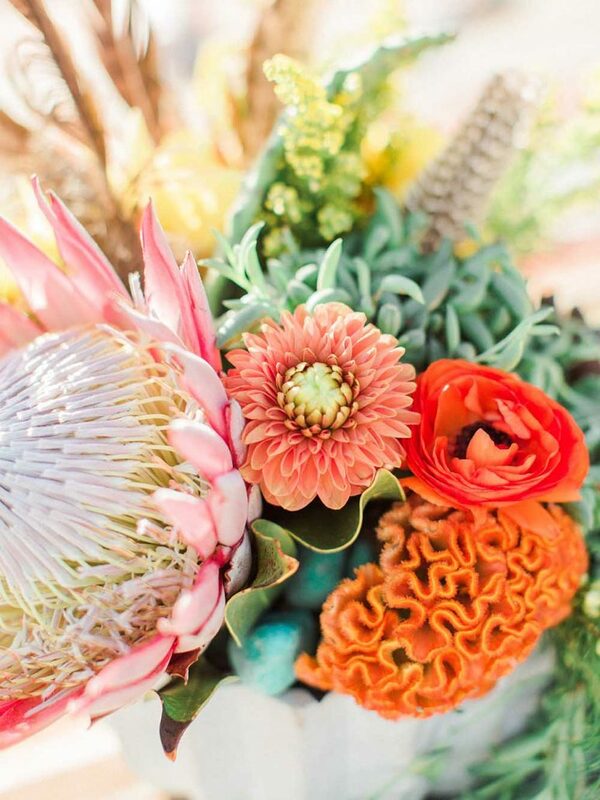 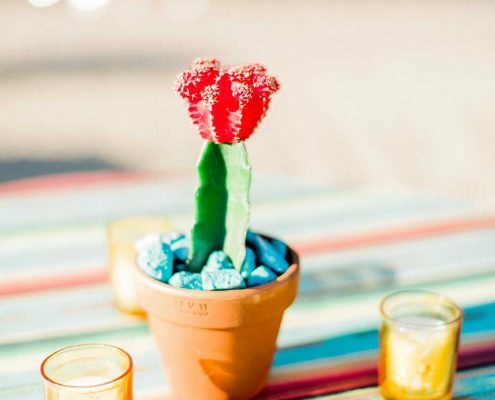 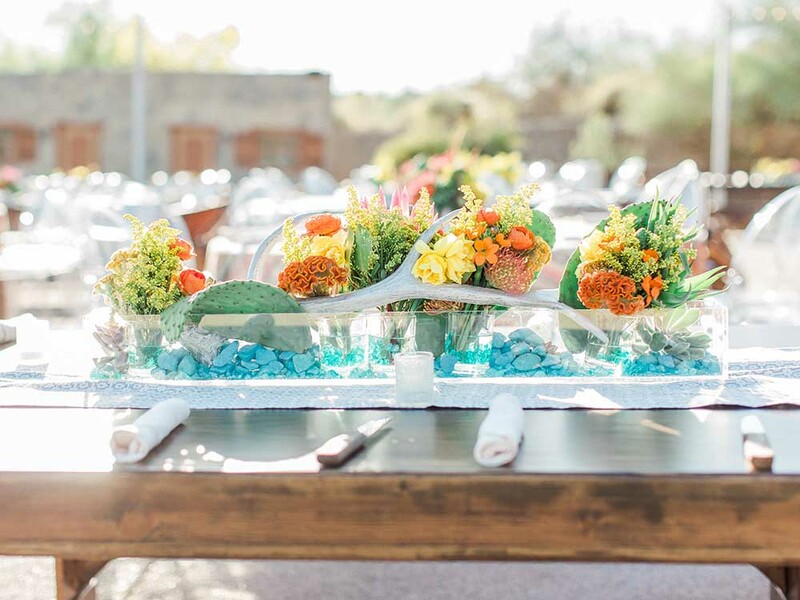 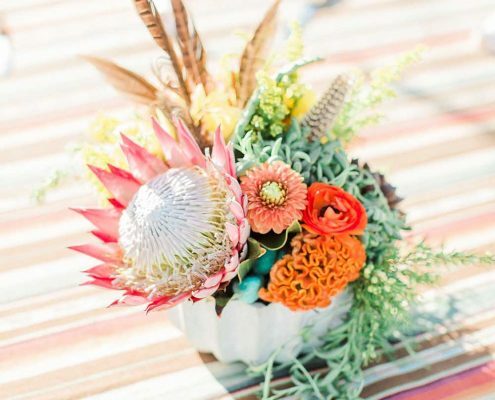 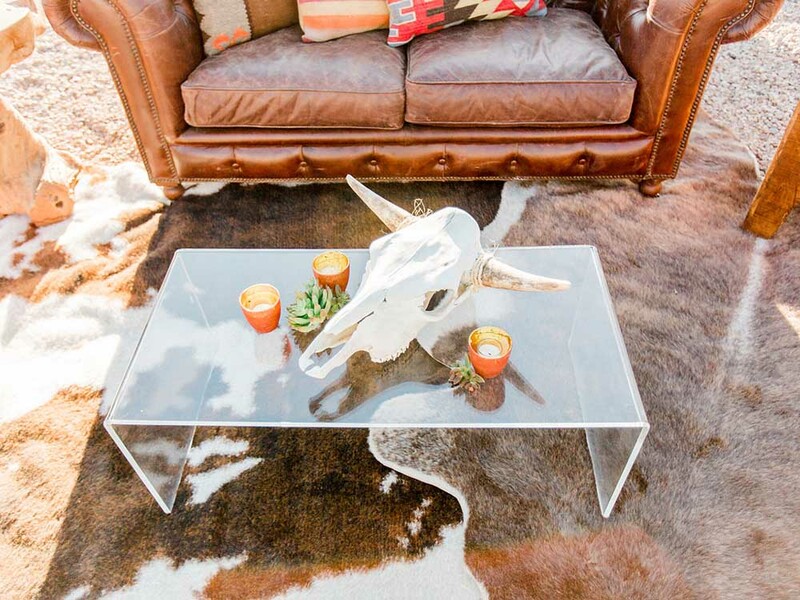 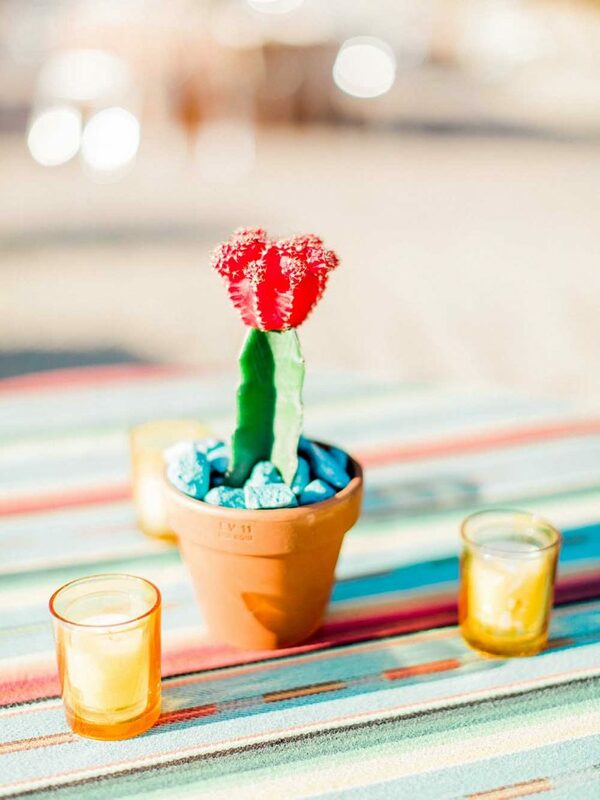 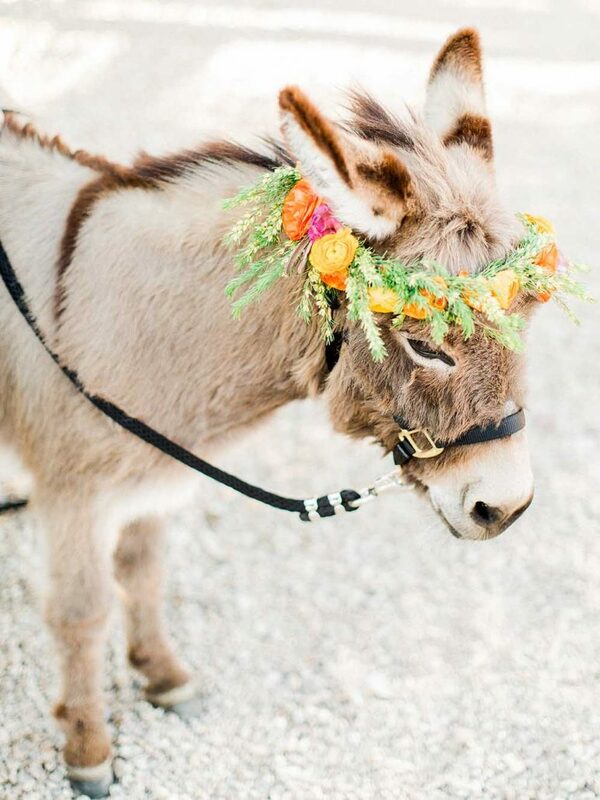 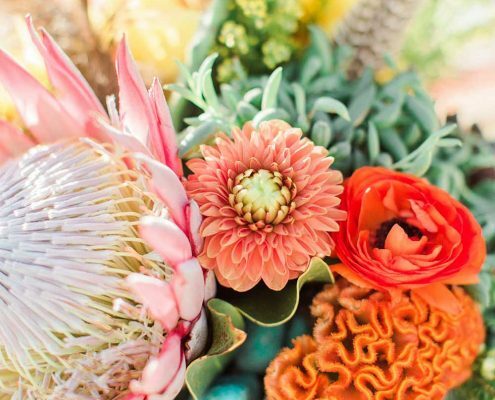 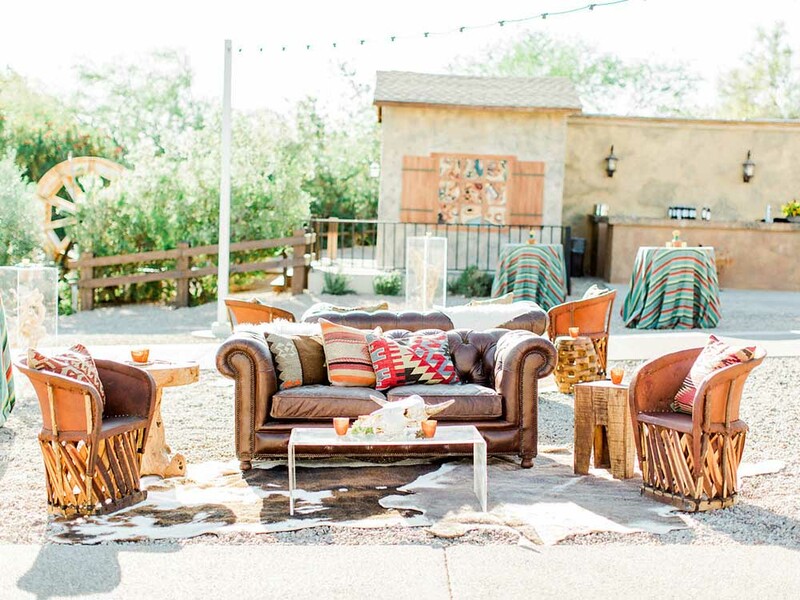 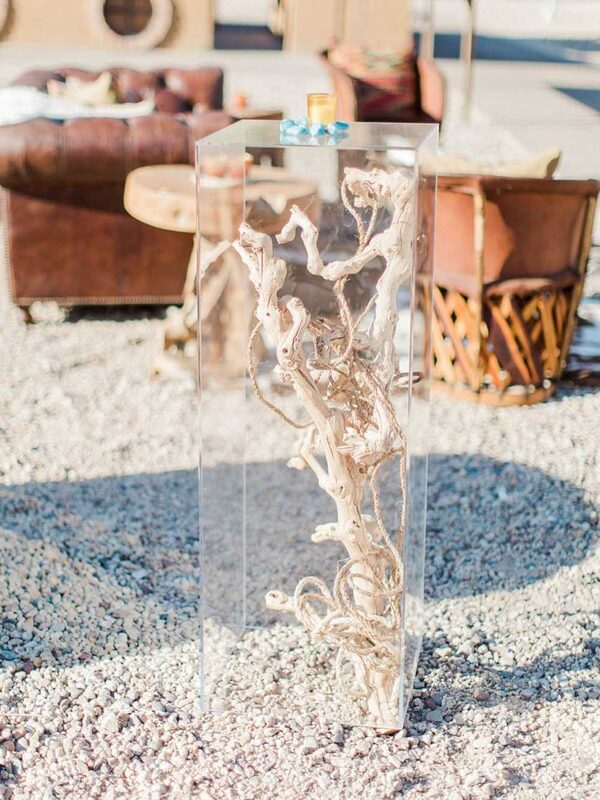 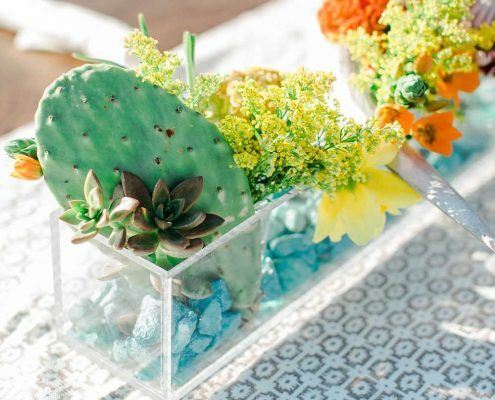 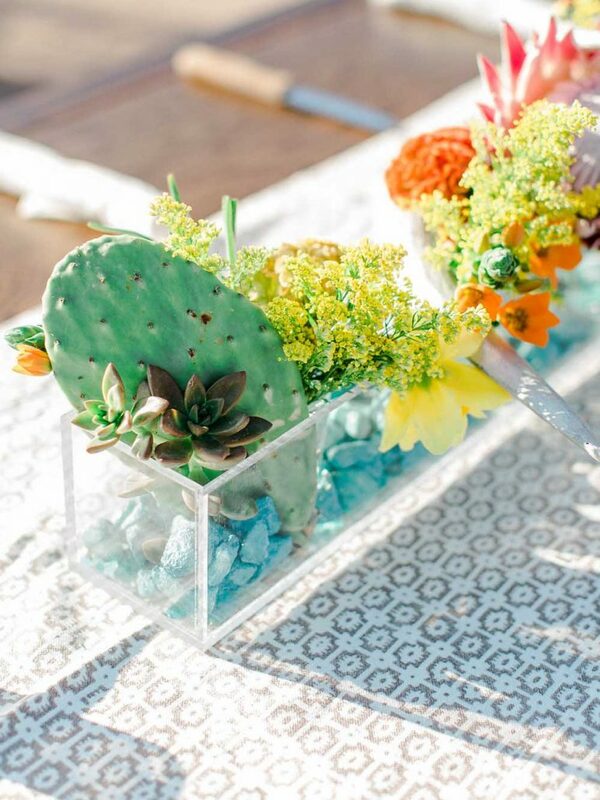 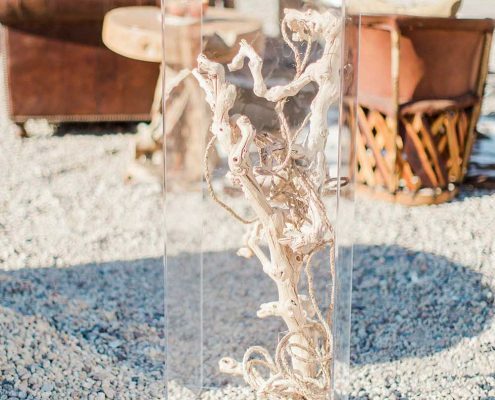 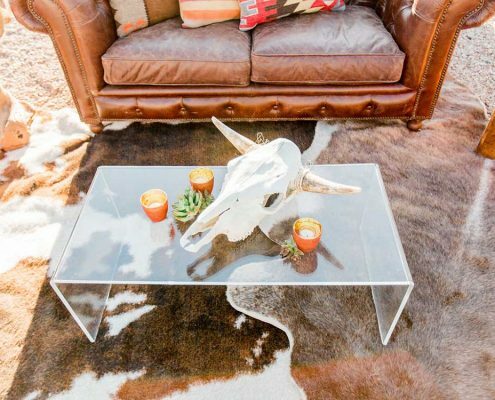 Colorful desert-inspired ﬂoral and cacti set the tone for this spirited outdoor party. 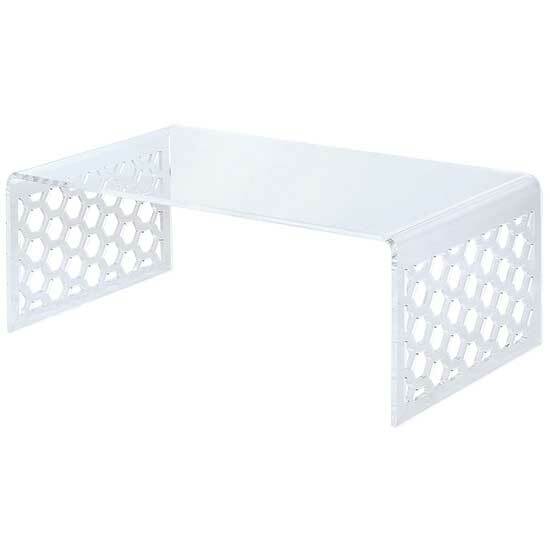 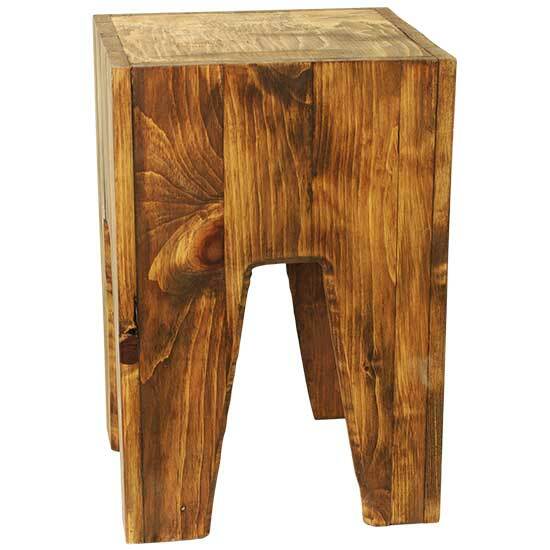 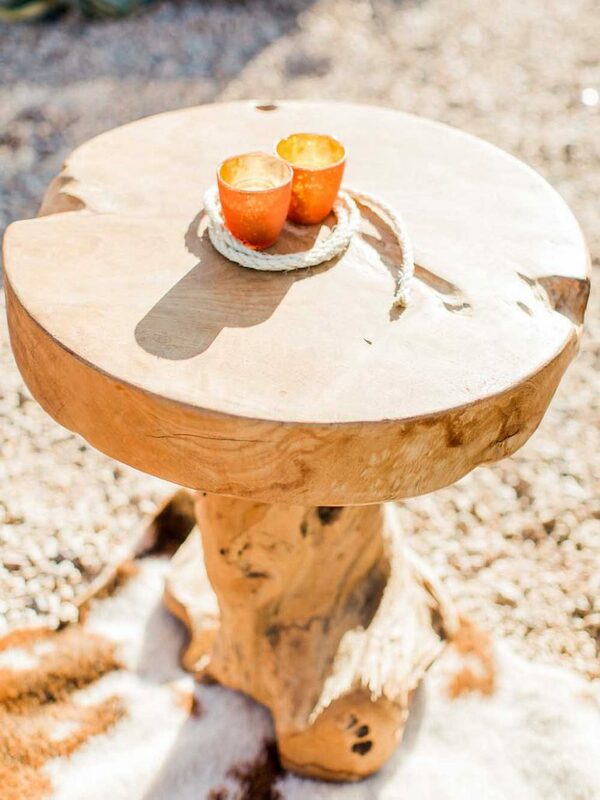 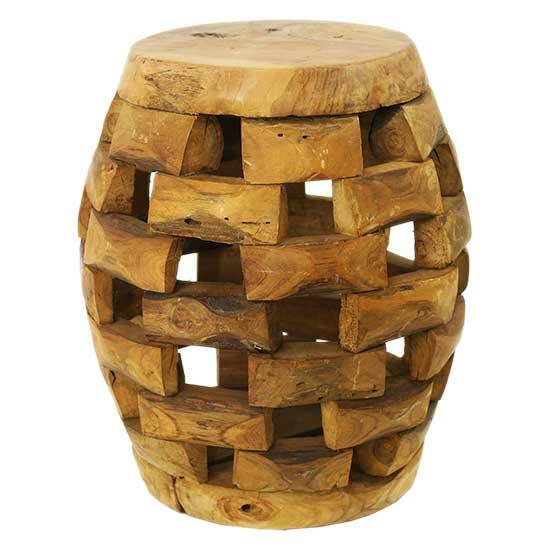 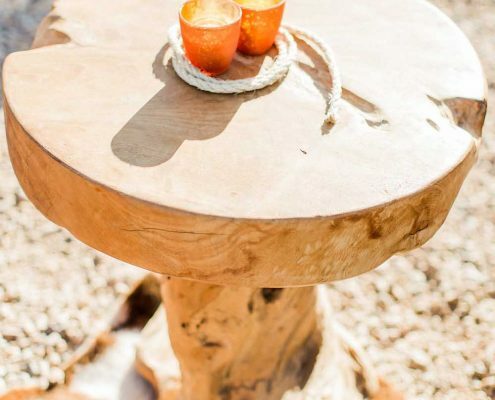 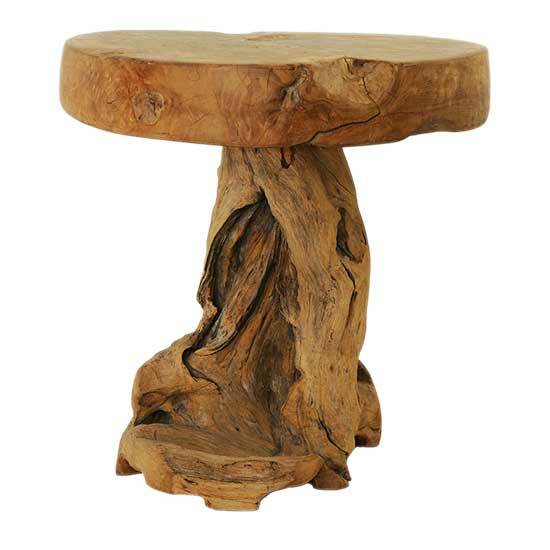 Acrylic cocktail tables ﬁlled with ghost wood and accented with rope brings a modern twist. 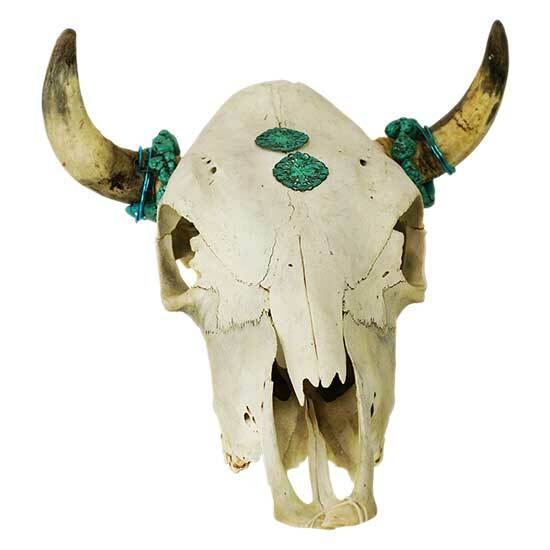 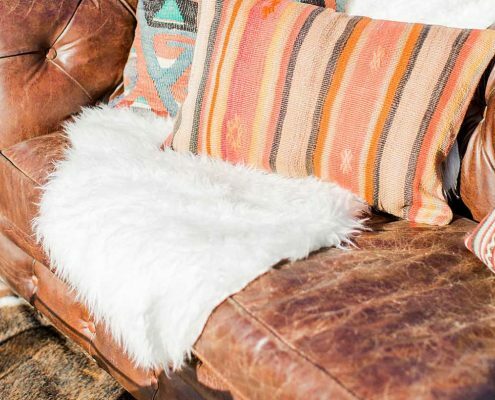 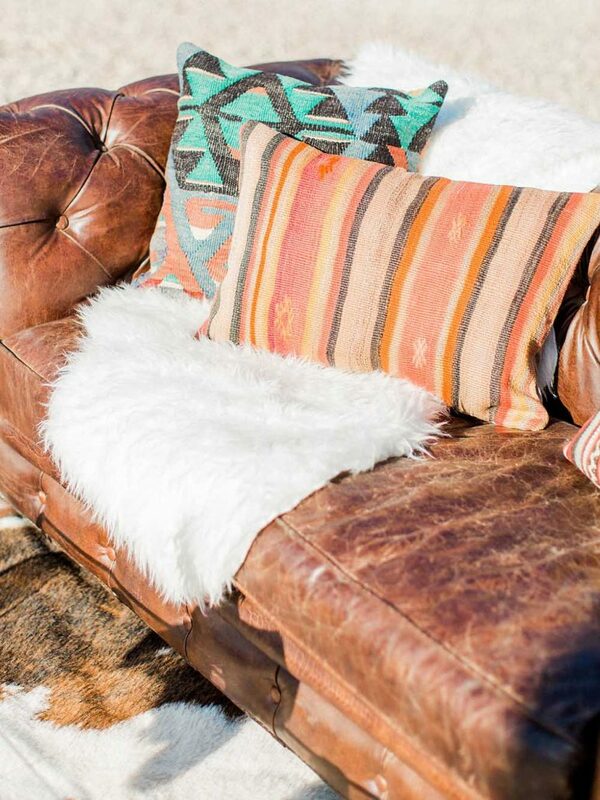 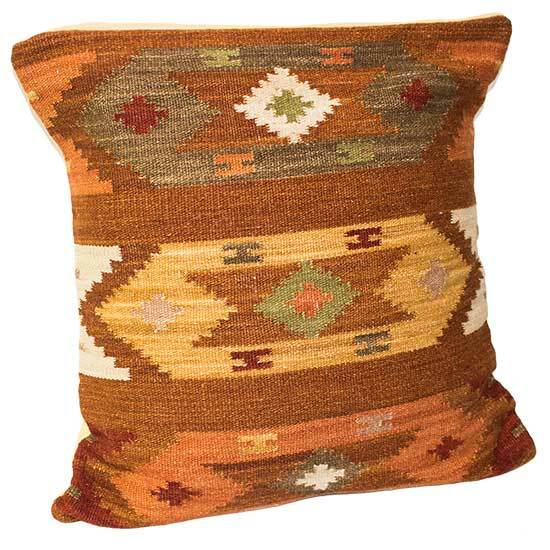 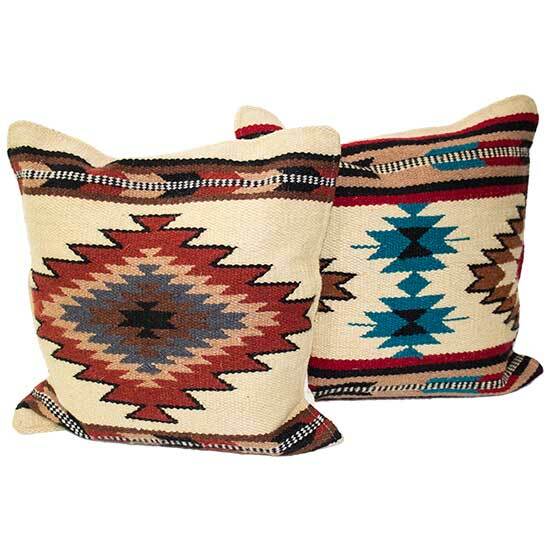 Feathers and turquoise rock add cool touches.